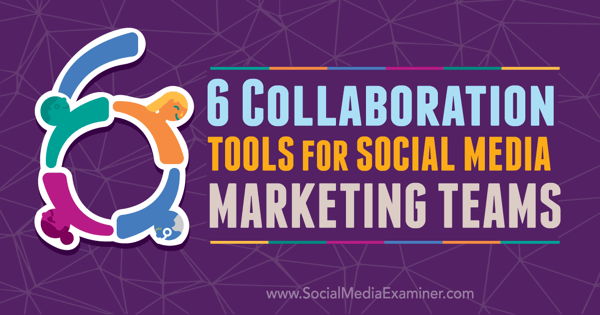 Discover six tools to collaborate with your social media marketing team. Evernote organizes content into notebooks, which contain individual notes. You can add reminders to notes, which will sync with your Google Calendar. 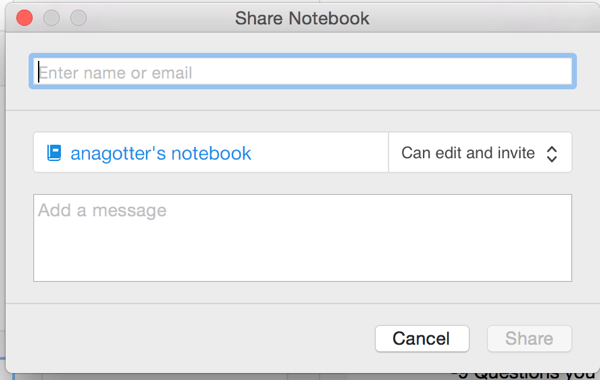 You can share your notebook or notes with other Evernote users, as well as send them direct messages. Evernote’s mobile app works just as well as Evernote itself. One handy mobile feature is that some functions are available even if you don’t have Internet access. Though these functions are restricted, you can still access snippets of information when you really need it. 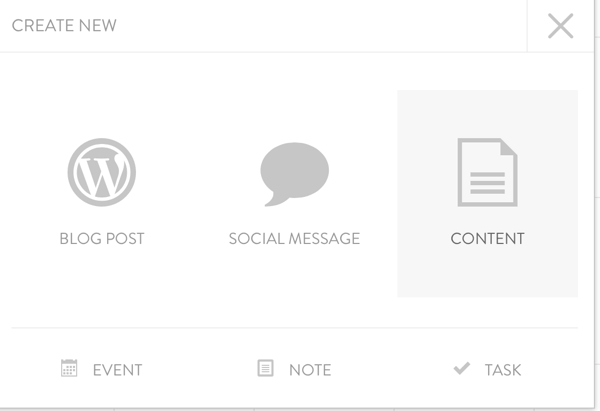 You can set up offline notebooks so you can edit or review content without using data. Evernote’s basic plan is free, but there are also paid business and premium plans available. The paid plans have the best features for social media teams, some of which are discussed above. The premium plan is $49.99 per year. Google Drive allows you to create documents and share them with as many users as you’d like, including team members and clients. Comment on a document and tag users to get a team member’s attention. Everyone can leave notes and comments, and tag specific users to bring their attention to something. You can use track changes to see who is making what edits within the document. Plus, it’s easier to share a link for the document than it is to email a large document file each time an edit is made. Google Drive can also be used as a scheduling tool. Create a schedule showing when content/posts are due or to be published (or both), who’s responsible, and what the projects are. You can customize this schedule to fit your needs, including sections that highlight keywords to be used, what platforms the content will be shared on, and more. Google Drive’s formatting and text options give you a look at the finished product. Google Drive is free for your first 15GB and doesn’t require any additional software to install on a desktop, so you don’t have to worry about who will or won’t have access, as you do with Evernote. It also has a great mobile app, though substantial edits are often more time-consuming on mobile than on a desktop computer. Basecamp is a web-based project management tool that allows you to create to-do lists, share files, and communicate with your team on projects. Basecamp includes to-do lists in the project overview to ensure that nothing gets missed. Set deadlines for projects and checklists within your projects, so you can see what tasks need to be completed by which team members. 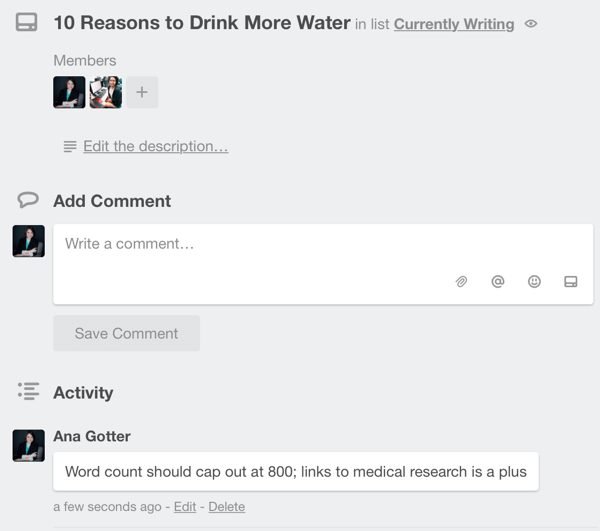 You can invite users to individual boards and have discussions within the group. 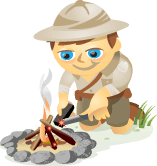 Basecamp has a user-friendly interface with great project management features. 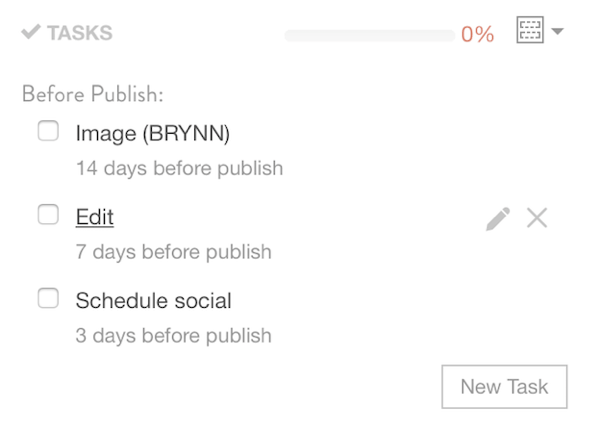 Basecamp has a Calendar feature that shows you what projects will be due soon. You can also review recent changes made to a project, so you never have to worry about missing anything. The tool’s settings are highly customizable. For example, you can receive notifications when changes or updates are made for all projects or for only specific projects. 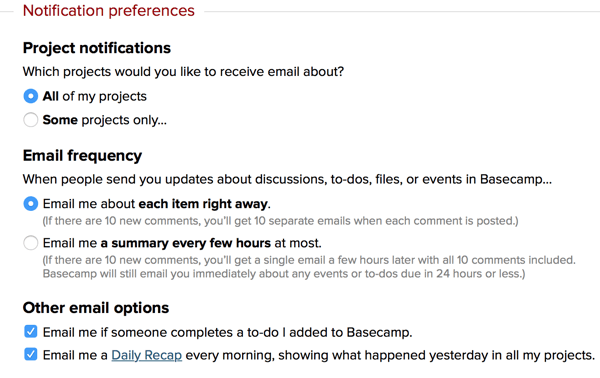 Basecamp lets you choose your notification preferences. Basecamp is ideal for teams that need to stay in touch to monitor projects with long timelines, but don’t need to be in contact every few minutes or hours (which Slack is best for). When it comes to project management, it’s an easy-to-use interface with a lot of great features that can help you keep your project and team organized. Pricing starts at $29 per month for internal teams, going all the way up to $3,000+ a year for enterprise plans. CoSchedule is a great tool for scheduling and project management alike, particularly when you have a content marketing team (or even just one blogger) working with your social media team. As the name suggests, CoSchedule approaches project management with a scheduling and calendar focus. It alerts you to upcoming posts and deadlines, and identifies which of your posts have received the most shares. Schedule blog posts, social posts, and more with CoSchedule. You can create detailed boards for each project and post. Include deadlines (all the way down to the actual hour), add to-do lists to check off, view status bars to monitor progress on your to-do lists, and add comments to projects. Create to-do lists to keep everyone on your team on the same page. CoSchedule is particularly useful for blogging. 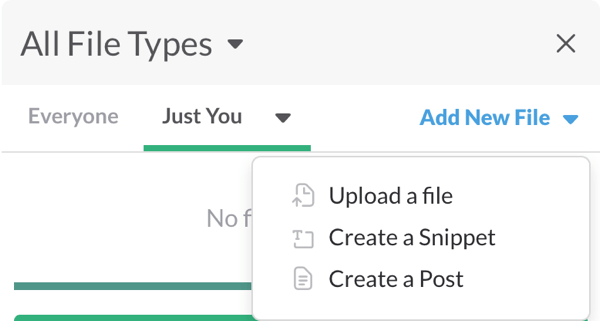 Within your project boards, you can choose WordPress categories for your post, establish the author, and even follow a link to edit the post in WordPress. CoSchedule integrates with WordPress and social media platforms, allowing you to monitor all aspects of social media creation. CoSchedule makes it easy to distribute content (including, but not limited to, blog posts) across multiple social media channels. Current supported platforms include Twitter, Facebook, Google+, and LinkedIn. Pricing starts at $15 per month. If you want social automation and auto-pilot publishing, you’ll want to go for the $60 per month plan, which allows you to connect to 25 social profiles. Trello is a popular virtual to-do list that makes social media management and content generation a more streamlined and efficient process. It helps you organize the projects you’re working on and makes sure you never miss a deadline. You can create individual boards and invite users to view and contribute to them. Within your boards, you can create lists, which have individual cards underneath them. Trello organizes content into boards, which are sorted into lists and movable cards. Trello allows you to move the cards between lists, and tag or add individual users to specific lists. For example, you can have a freelance writer, the designer who creates blog post images, and the editor all on one card, communicating and sharing files. You can tag users to assign them to projects. When it comes to project management, Trello is a simple yet highly efficient solution. You can communicate with your team on individual cards and tag other users. Open a card to share files, post links to content or documents on Google Drive, and set deadlines. Enable notifications if you want to receive an alert when a deadline is approaching. Communication on Trello is one of the key benefits. While email or Skype message chains can do the job, they can also get messy. You might forget to reply to all of the necessary parties, and tracking down old messages can be challenging. With Trello, all communication relevant to one project is on that specific card. You’ll find all communication for a specific project on that project’s card. Trello is free and it has a great mobile app. If your social team needs a more effective communication channel, Slack is an excellent solution. Similar to a private chat room, Slack lets you create specific threads (called channels) and invite team members to join the conversations. You can also send individual users private direct messages. Slack’s interface is simple and effective, enabling faster communication among team members. Within channels, you can share multiple types of files, including images, PDFs, documents, and spreadsheets. Add files of all types to channels to share them with team members. By keeping conversations organized in one place, it’s easier to keep everyone on the same page. All conversations and files are searchable, so they’ll be easy to find whenever you need them. The interface is simple and easy to use, whether your social team is in one office or spread out across multiple time zones. Slack’s mobile app increases the ease of communication if team members are off-site. Slack is free for small teams and with limited features. The standard plan is $6.67 per month, and comes with a host of great features. Using collaboration tools to monitor and create content, track projects, and clarify individual responsibilities will improve team communication and efficiency, benefiting your social campaigns and content in the process. What do you think? Do you use any of these tools? What tactics do you use to collaborate with your team? Share your thoughts, knowledge, and experience in the comments below! 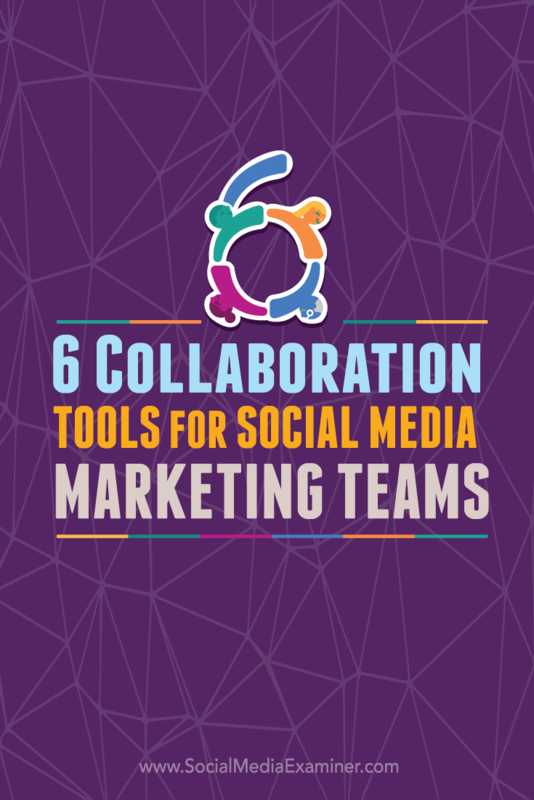 Tips on six tools social media marketing teams can use for collaboration.